It's one of the cruel realities of the playoffs in any sport that a single loss in many cases ends a team's season. While I had great hopes for the Portland Timbers and their continued quest to add another MLS Cup to their trophy case after securing the first spot in the Western Conference, I had to face the reality in driving to Providence Park for their leg 2 match with the Houston Dynamo that their season could very much end in a matter of 2 hours. It's an absolute bittersweet fact to try and absorb while remaining in belief beyond reason mode, especially considering how entirely resourceful and scrappy the team has been all year. Despite several huge injuries, a disjointed schedule with plenty of breaks, players being called away for international duty, and some outright struggling at times, Portland achieved quite a bit in 2017 - their first Cascadia Cup since 2012, a Western Conference title as top seed, and an MVP candidacy for their all-world playmaker, Diego Valeri. After the sides played to a scoreless draw in leg 1 in Houston on October 30, the Timbers could still feel some confidence going into leg 2 coming home despite the issues that cropped up in the first match. Unfortunately, they couldn't outlast several other complications that arose before and during leg 2 - the biggest being Houston scoring late in the first half to then add an insurance goal late in play - and their season was ended by the Dynamo in an emotionally draining 2 to 1 loss. Due to the compressed state of fixtures, leg 1 took place at BBVA Compass Stadium in Houston on what apparently passes for grass and neither team could put anything past either goalkeeper as the sides played to a scoreless draw. The result gave some advantages to the Dynamo in not conceding any away goals, which is vital as away goals is the first tiebreaker in 2 leg series if the teams ended up drawn on goals after 120 minutes. Portland took away other costs from the match, however, as Diego Chara, Larrys Mabiala and Darlington Nagbe all had to leave the match due to injury - and this was after the Timbers were already down David Guzman (hamstring injury), Sebastian Blanco (second degree burns) and Fanendo Adi (still injured). While there was hope that Mabiala and Nagbe might be available for leg 2, Chara sustained a broken bone in his foot that required surgery, so Timbers Coach Caleb Porter knew he would be a man down at least. As I sat down in the park to get ready to cover the match, more injury news was being circulated as Roy Miller and Ben Zemanski were also injured and not available. Miller ruptured an Achilles during training on November 4, the same injury that felled Gbenga Arokoyo to start 2017, while Zemanski strained a meniscus that may require a procedure. As if healthy bodies were at a premium to begin with, Porter was having to dig very deep to field a strong side. I feel bad for Roy Miller & how his season ended. The news for Porter was improved somewhat when it was revealed that Guzman and Nagbe would indeed be available for leg 2, but Guzman's fitness and sharpness weren't at premium. With Jeff Attinella in goal, Porter put Lawrence Olum at centerback alongside Liam Ridgewell with Vytas and Alvas Powell flanking to each side. Amobi Okugo, who hadn't appeared for the Timbers since June 25 against Seattle, would get the call pairing with Guzman as defensive midfielders. Nagbe would team up with Valeri and Dairon Asprilla as the attacking midfielders with Darren Mattocks up top as striker. Considering the laundry list of injuries, the lineup certainly had a mix of talent, experience and resourcefulness - but if the Timbers needed to add something from the bench, that would be pushing things a bit. Blanco was listed among the subs for limited duty, but otherwise, the bench consisted of part-time starters (goalkeeper Jake Gleeson, defender Zarek Valentin), key subs for a change of pace (forward Jeremy Ebobisse) and talented youngsters with unknown return potential (midfielder Jack Barmby, defender Marco Farfan, midfielder Bill Tuiloma). Obviously having Blanco available in any capacity was a huge win, but if the Timbers needed to change the pace or make a move, there would be serious questions about any of the choices. Porter was faced with that very query 11 minutes into the match when Mattocks and Dynamo midfielder Juan Cabezas collided going for a ball in the air, and Darren took the worst of the unintentional contact. While Cabezas was able to continue after getting a quick examination, Portland decided not to risk Mattocks' health based on their concussion protocol review and they were forced to sub on Ebobisse immediately. While the move seemed initially to spring some life into the Timbers' attack, Houston spent most of the first half packing the backline while shadowing Valeri and bracketing Nagbe. Dynamo Coach Wilmer Cabrera's plan seemed to be tailored to force anybody else on the Timbers to attack Houston while trying to minimize the influence of Portland's two best playmakers. While Asprilla and Valeri had great chances between the 23rd and 27th minute on goal - Asprilla's header was caught by Dynamo goalkeeper Joe Willis at the very last second, it wasn't until Asprilla started threatening the goal after the 30th minute when it appeared the Timbers were gaining their footing. In the 39th minute, Valeri pushed a ball out wide to Vytas on the left, and the cross came back to Asprilla in the box as Dynamo defender Dylan Remick temporarily lost his footing. The gap was just enough for Dairon to punch the ball past Willis to put the home side up 1 to 0, and it appeared the home side could breathe for a minute. Diego Valeri was Mr. Everything for the Timbers in 2017. How does he follow that? The good feelings were rather short lived as Houston put the Timbers under pressure right after the subsequent kickoff as Attinella left his line in the 40th to smother a loose ball. The Dynamo then put consecutive corner kicks together, and on the second one, Dynamo defender Jalil Anibaba took the corner from Tomas Martinez and dropped the ball to an open Remick on the right flank. Remick took a quick left footed shot that it appeared Attinella had measured, but the ball trailed off further to the left and got past the Timbers keeper to equalize the score at 1. The collective gasp in the crowd was foretelling, but they were nearly brought out of their seats in first half stoppage when Okugo took a bicycle kick off a corner and he nearly converted the shot as it spun wide left. The whistle blew moments later, but the situation was very evident - based on the away goals tiebreaker for 2 leg playoff series, Portland was going to need to score again to advance since the Dynamo had their away goal. It was apparent the Timbers didn't want to use Blanco unless absolutely necessary, but their hand was forced by the circumstances. Unbeknownst to the media onsite, Blanco received a lidocaine injection at halftime to numb his foot after he suffered second degree burns before leg 1 in a kitchen accident. While making this move would push Portland forward, it would also open them up to counters if they weren't careful, so this was a key tactical point within the match. 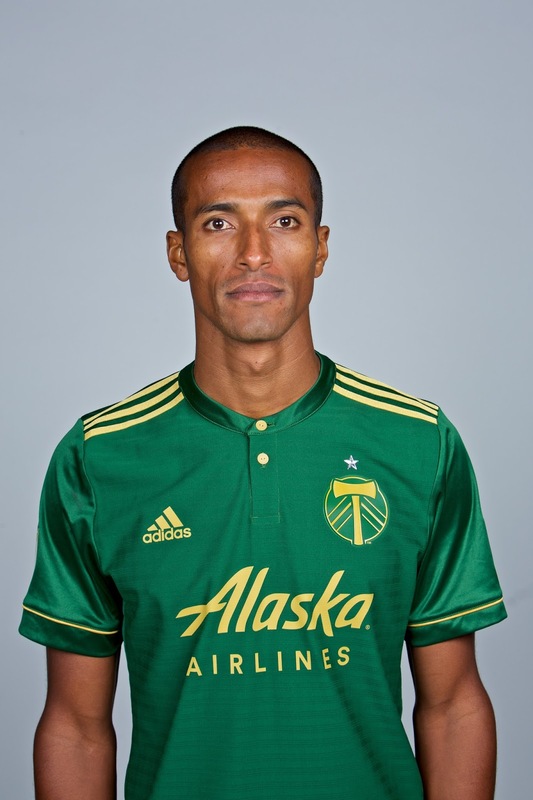 Blanco entered in the 55th minute for Okugo, which pushed Nagbe to more of a central role after Valeri and Guzman nearly missed on other efforts, but upon his inclusion, the Timbers would get just 3 official shots down the stretch. The most dangerous chances for Portland were in the 59th minute when Vytas and Asprilla put forth a great run and the Timbers defender nearly found Ebobisse at the spot, but Willis was able to get to the ball first. The other chance was off a long pass to Ebobisse in the 88th minute where he had tangled with Dynamo defender Phillipe Senderos just outside the box. Ebobisse went down hard and was called for the foul, but replays showed that Senderos not only pulled down the Timbers defender, but he was the last defender which could have made for a DOGSO review. 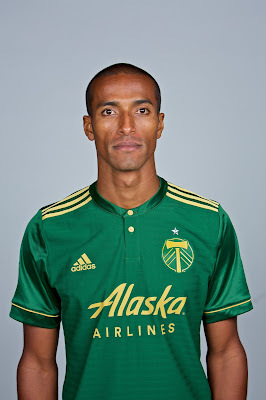 Center Official Ismail Elfath instead tagged the Timbers striker with the foul, but by this point, Houston had already added a second when substitute Mauro Manotas caught the defense napping and put a distance shot into goal in front of the Timbers Amry in the 79th minute. After 8 minutes of stoppage and several other runs and moves, the final whistle blew and the Timbers were bounced from the postseason. Who were we playing again? I didn't see any bule out there. Houston had their own player issues going into the match as DaMarcus Beasley and Leonardo, two of their key defenders, were both unavailable due to injury, but they also lost starting goalkeeper Tyler Deric to suspension after leg 1 when Deric was arrested on domestic abuse charges midweek. Cabrera brought on Remick and shifted Machado inside, while putting Willis in goal; Willis actually had comparable numbers to Deric during the regular season, but Deric had effectively taken the job in July and held it until now. However, the player issues for Houston paled in comparison to the absences for the Timbers in terms of options. While Portland held up gamely and fought through the various challenges, the team could never truly find their rhythm on the afternoon with all the differing parts. Asprilla was very active and driving the Houston defense crazy with various channel runs, but Ebobisse was struggling to find space among the stout Dynamo defenders. With Blanco at half capacity at best, Guzman still not 100 percent and Valeri and Nagbe drawing massive attention wherever they went, it was a choppy, uneven effort for most of the match. Many will throw criticisms at Elfath and his officiating crew, who effectively let the sides play and didn't throw out any cards until later in the match. By that point, the various infringement tactics for the Dynamo were in full swing, and fans saw the full version of Dynamo strikers Alex, Alberth Elis and Erick Torres. While extremely dynamic and talented players, they are also in the true mold of persistently annoying players - exaggerating contact at any point, talking to the officials nearly non stop, and generally annoying defenders wherever they go. Upon recollection, I can't fault Elfath in terms of individual calls outside of the Ebobisse/Senderos decision, I was very upset that he chose not to control the antics more. Willis was also at the edge of time wasting in terms of goal kicks and restarts, but Elfath chose again to ignore the pattern until he finally carded Dynamo substitute Oscar Garcia late in second half stoppage for not taking a throw after several seconds after the whistle blew. I get it, dramatics and tactics take a premium during the playoffs, but for me, many of the actions we saw would have warranted discussions or cautions in the regular season, yet they were ignored due to the stage. But I'm not here to blame the officials, because really it's not their fault that the Timbers lost this match. Get well, Diego. We need you to return healthy and strong. Even with the litany of absences, the Timbers put together 59 percent possession, 12 total shots and 4 shots on target. At points, the team was able to move from box to box well, but once they got to the final third, they lacked the creativeness and ingenuity to break down the Dynamo defense. Houston certainly did their part with some great swarming defense, but I could count on numerous occasions where a Timbers player passed instead of taking an open shot, or continued their run to see if they could find a better option only to lose the ball. Once Houston got their away goal, they were able to play back and absorb pressure and defend, only countering when they really had an open chance to run. It was a very tactical sound plan executed to perfection, and I honestly wouldn't look past Houston in the next few rounds of the playoffs because they certainly aren't an easy out. After the result, MLS has the Dynamo battling the Seattle Sounders, the defending MLS Cup Champions, out West while Toronto FC, the most prolific offense in MLS this season, battling the plucky Columbus Crew in the East. Since the ownership issues with Columbus came out just before the playoffs, all the Crew have done is bounce out Atlanta United in the knockout round on penalties before outlasting New York City FC in their 2 leg series. There were some other strange parts about the match - a street preacher with a megaphone was yelling about before the kickoff, the weather had a threat of snow for several days before the match date, and the Timbers Army were chanting "F**k Seattle" before the match to antagonize the Dynamo - but the end theme here was that the Timbers weren't able to fight enough to get pasat every challenge. Houston, to their credit, executed their plan to perfection and they were able to prolong their season. Portland now gets to ask the question - what now? There are certainly huge pieces and talent here in the Rose City and this group put together a run to win the Western Conference regular season championship and their first Cascadia Cup title since 2012. The team also put forth a 60 goal season behind an MVP effort from the Maestro, but he wasn't completely alone in contributing to the attack. In the next entry, I want to take a look at the various questions and put forth my thoughts on where they might go, but to say the season been memorable is a huge understatement. The Timbers never make being a fan easy, but the end results are usually worth the hassle - and I cannot wait to see what this group can do in 2018.